Well, this year the American Herbalists' Guild conference is being held in Columbia, MD at a big Sheraton in the middle of a corporate office park. Certainly not my favorite setting -- but some excellent people nevertheless. - Aviva is interested in growing the Guild, recruiting more members, gathering more funds. She also lamented the fact that the grassroots, volunteer-based flavor that shaped the Guild ten to fifteen years ago has fallen away as full-time staff has taken on greater responsibility. My feeling is that putting money into a national organization might not be as effective as mobilizing the grassroots again. And, as K.P. Khalsa (herbalist and finance guy) pointed out in his report, the Guild makes between $2,000 and $5,000 a year in profit, which it's put in the bank and is just sitting on. - We talked for a while about a national certification exam for clinical herbalists. The general consensus: not a good idea. This reassured me. Certification usually, historically, leads to assimilation. In the case of herbalism, this would not only hurt our discipline, but also cut off the potential for rebalancing the modern healthcare paradigm that herbalism offers. - Lupo, a young herbalist currently living in Connecticut, was elected to the Guild Council as a general member. I think she will bring an excellent voice to the Council -- and those of you who may know her would probably agree. - Part of magic is the ability to manipulate human consciousness. Our current culture seems to be an expression of a massive 'spell' cast upon millions. - When a magician comes to believe his/her own spells, a dangerous fanaticism can ensue. To me, this means that the wholesale acceptance of any model that describes reality is risky and leads to inflexibility, a lack of adaptive power, and a tendency to reject those who do not share your world-view. This seems to be what has happened to our modern medical paradigm - a seductive spell, to be sure, but the resultant fundamentalism is all too apparent when we look at obsessions like 'evidence-based medicine'. - The idea of 'integrative medicine' can mean many different things. Today, some MDs and medical clinics practice what they call 'integration' - but in many cases, this simply means using meditation, biofeedback, and occasional standardized herbs as adjuncts to practice. There is no shift in philosophy, no shift in belief. This is simply co-opting, not integrating! JT recommended Ken Wilber for his work on defining true integration and holism. Check out Integral Psychology and Integral Spirituality for more. - Once we accept magical flexibility and integrate ourselves into whole beings, the distinction between hero (healer / herbalist / doctor), villain (disease / doctor / herbalist), and innocent (patient / herb / drug) disappears as we see the trinity synthesize into oneness. Practically speaking: herbalists must talk to the modern medical community, with compassion, with friendship. It comes back to what I've always maintained: no personal philosophy should take precedence over client well-being! Bacteria are getting better at eluding technological medicine's open attacks. I've been following the mainstream media's reports on this subject for a while now, and especially in this last year things seem to have begun an exponential rise. Of chief concern is a variety of Staph bacteria, known as MRSA, that is highly resistant to powerful antibiotics, as well as being way more virulent. 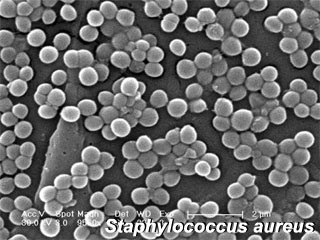 And now some numbers are in: MRSA has killed an estimated 19,000 Americans in 2005 and made 94,000 seriously ill.
Additionally, a strain of bacteria sometimes involved in middle ear infections (Streptococcus pneumoniae) is evolving antibiotic resistance that may have come as a response to increased vaccination rates and the overuse of drugs for ear infections. Folks around the country are getting worried as these bugs spread from the hospital to the community. Dallas, where a teenager died from MRSA in March, is monitoring local schools. Bedford, VA has shut down all its schools after a student died of MRSA today. This is getting scarier, and it seems to me that a moratorium on antibiotic use (unthinkable to mention even 10 years ago) for all but the most dire emergencies is almost in order. But if we can't use antibiotics, what on earth can we use to treat ear, skin, and lung infections? We are powerless! "This collaboration will ultimately help us bring the insights and benefits of traditional Chinese medicine to consumers all over the world." Thus spoke Coke, in reference to its collaboration with the China Academy of Chinese Medial Sciences. The company hopes to develop a line of drinks featuring Chinese herbs, and probably a whole range of health benefits. And corn syrup. Does this mark a return, full-circle, to Coke's roots as a tonic herbal beverage? Or perhaps a new positioning scheme to be well-placed for production and distribution of herbal products once the FDA regs kick in? The prospects could be scary, especially if the multinational company (or companies) can claim patent rights for beverage "formulas". Another successful step in the long road of corporate cultural appropriation. Research from India highlights this amazing plant, usually used as a carminative, immune stimulant, antifungal and "toothache plant". Members of the Spilanthes genus, but in particular S. acmella (my favorite garden variety) seem to kill the larvae of mosquitoes at concentrations of 9ppm (9/1000ths of 1%), which seems really low (about 3 drops of their extract for a full 5-gallon bucket). 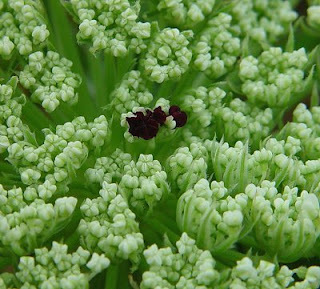 The researchers used hexane to extract pungent alkylamides from the flower heads, then removed the hexane to leave what was probably a very concentrated (up to 20:1) fraction. Still, a more reasonable 1:5 weigh-to-volume ratio would still mean that 10ml to 15ml of tincture (of high alcohol percentage!) could provide the adequate concentration to kill all mosquito larvae in a 5-gallon bucket. concerned with the regulation of practitioners using this modality. Overall, the results of the three studies included in this review do not provide support for the use of individualised herbal medicine in any indication. So there you have it. Custom blending of herbal formulas just doesn't work. This study is really just a research project where the authors selected 3 randomized, controlled trials from over 1,300 pubmed results. The trials covered Western herbs for osteoarthritis of the knee, Chinese herbs for irritable bowel, and Chinese herbs for chemotherapy support (this last one was terminated early due to difficulty recruiting subjects). With such limited results, why do the authors choose to call for increased regulation of herbal practitioners, rather than more, better, research? Perhaps because Ed Ernst is at the helm. Jonathan Treasure has been following this man's career for the last little while, and the history is pretty interesting (his herblog reviews this latest study fully for your pleasure, although it comes with an 'adult language' warning). To me, it's just another fairly immature and certainly non-productive use of research time and money. In this climate of diversification, increased government worry and oversight, and the grassroots integration of effective, individualized herbalism into the modern medical system, Ernst's editorials may actually be irresponsible, too. I wish someone paid me a lot of cash to tool around pubmed with an agenda. The Northeast Radical Healthcare Network hosted its second annual Herbal Convergence at Seven Arrows farm this past weekend. This gathering has been amazing so far - low cost, community organized, non-hierarchical, inclusive, conscious, accessible. I can't say enough about the organizers and the people there. Lots was going on. 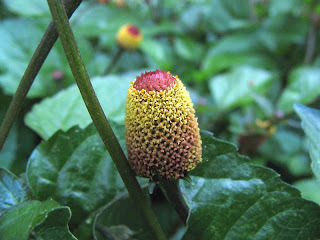 It is a tumultuous time in the herbal world, and I think the discussions reflected that. Wendy gave us an update from the herbal care unit of the Common Ground Free Clinic in New Orleans. A non-profit, the Clinic's board of directors felt that unlicensed herbalists should not be practicing in the clinic the way they'd been doing since Katrina left most of the city's healthcare network crippled. While this might have seemed the end of an experiment in truly integrative free healthcare, the herbalists in New Orleans turned things around. They enlisted Phyllis Light, a professional AHG member, to supervise their work, and created defined protocols for herbal treatment in specific situations. Integrative practice continues! Chris Monteiro of Providence, RI spoke about her acupuncture practice where low-cost and sliding-scale treatments are given to many people at once, reducing overhead and engendering a sense of 'peaceful community' for those relaxing in the treatment room. I talked a little about the free clinics we run up here in Montpelier, now through the VCIH, and how coupling educational opportunities and community-grown medicines with the free clinic can help make it sustainable. Rebecca Hartman talked live about her herbal philosophy, with a special focus on seeing the human physiology as an ecological system. She described insights for practice from a relational, ecological, and network-based vantage point (definitely good stuff, summarized here on her blog). We heard reports from Just Food, where folks are organizing communities and local farmers in and around New York City to encourage community food production, fresh food availability, urban chicken and bee keeping, and networks of distribution and barter. The Rhizome Collective in Austin, TX has been continuing with its urban sustainability work, organizing efforts, and ecological preservation. We heard about how they got a $200,000 grant to clean up and preserve a ten acre brownfield they now own. I was especially impressed by the construction of a floating island of plastic in a stormwater collection pond: anchored to this structure are wetland plants that help purify and control the water. During and after my talk on the history of medicine in the US over the last 200 years, a lot of crucial issues were brought up. I feel that we are at a similar juncture in the history of herbal medicine to the one the Eclectics (and everyone else) faced in the mid-1800s: unregulated, diverse healthcare practices with a central government threatening (an imposing ) regulation. Onerous regs might create a two-tiered system: licensed and lay herbalists, 'professional' and 'kitchen' healers. How to avoid this split, avoid assimilation, and avoid 'banishment'? Some ideas, such as 'community-shared herbalism' where a collective group makes tinctures for itself, came out of the mix. This is something we want to try to build in Montpelier; I know others are working on it as well. But licensure will continue to be a hot debate! I spoke with Kale (I believe that was the name) about research on the role of neuronal myelination in disorders such as bipolar depression and schizophrenia. This research seems to point at low mylelination levels for the former and higher levels for the latter, both in the brain's while matter and in the corpus callosum. Kale, if you can keep in touch about your research, I'd love to hear more! Mary Blue, who is one of the organizers and a hostess for the gathering, also talked about her community living and farming project, called Farmacy, that involves urban sustainability, a farm and herb garden, composting toilets and graywater processing, and a kid's camp -- all from a small lot in Providence, RI. She makes tinctures and other medicines for local distribution. I commented to her how interesting, from a semantic and philosophical point of view, her choice of the name 'Farmacy' is: in the 70s, herbalists were moving out of the underground, and the tincture company was called 'Herb Pharm' (and still is - great company!). This name puts the 'Ph' into an earthy, farmlike concept: it injects science into nature's grounding force. Now, in the 21st century, herbalists create an organization like 'Farmacy'. This name puts the 'F' into a scientific concept: it injects nature's grounding force into science. I guess we've had a few years to think about it, but I do like the latter way of doing things quite a lot. And the Convergence is doing a good job of distilling this new, radical herbal instinct and bringing it into the light. At last weekend's Convergence, Robin Rose Bennett gave an informative talk on wild carrot and its use as part of conscious birth control. She's made available a copy of her work on Daucus carota online.
. intermittency of dosage allows for most effective birth control action, and also fertility enhancing: take breaks at the right times!
. in a case of ectopic pregnancy, it helped eliminate the fetus without surgery (I heard this last part second-hand). Robin's got 20+ years of experience working with wild carrot, both for herself and her clients.